Players gravitate towards casinos that are reliable. If a site has been around for years, it must be doing something right. Wise players look for these casinos through Bitcoin slots reviews. The players that write them are also members of the same casino. So they can give new players an inside look on what to expect. Sometimes players want a simple site that’s easy to follow. 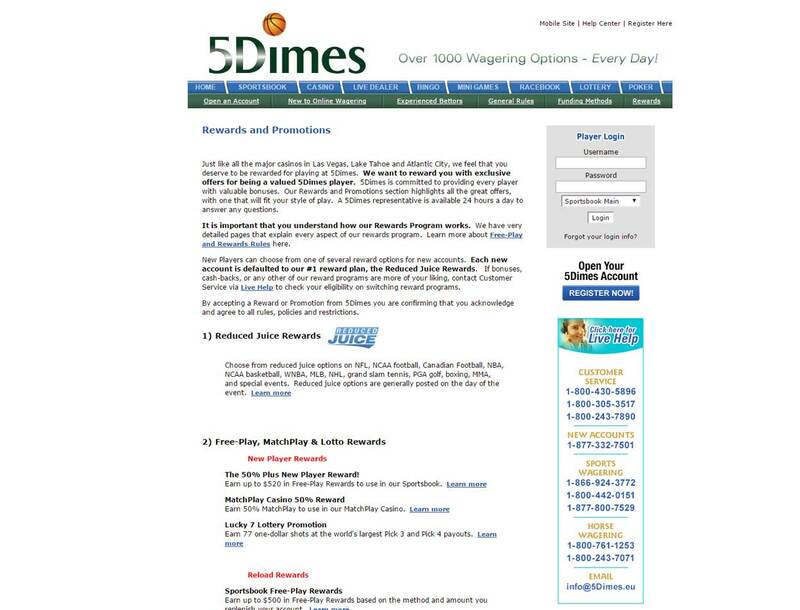 This is where 5Dimes Casino shines best. 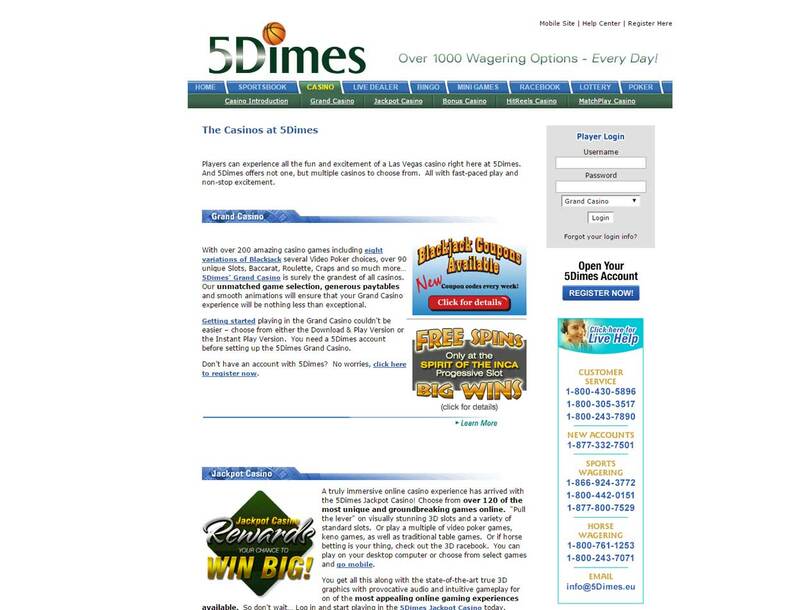 5Dimes Casino launched in 1996 and is still going strong. It caters to both sports fans and casino players. This casino offers a good selection of games from Realtime Gaming. 5Dimes Casino has the best games from Realtime Gaming. Players can enjoy over 200 casino games. Bitcoin slots players can try out progressive jackpots. These are ideal if players love small bets and huge wins. As long as no player gets the winning combo, the jackpot just gets bigger. Table games players will love Blackjack, roulette, poker, craps and baccarat. Players can also try out the casino games with a play for fun option. Players can try out the games before signing up. Players can enjoy different promos for both sports and casino. New players will get a 50% reward bonus up to $125 when they sign up. To get the bonus, players will need to send word to the support team. Other Bitcoin slots bonus offers include 100x Craps on Thursdays and Bonus Baccarat Zero Mondays. 5Dimes Casino also has jackpot casino promos. This casino offers low—and reasonable—betting requirements. Players just need to bet ten times their deposit amount. When players hit the betting requirement, they can claim the bonus. 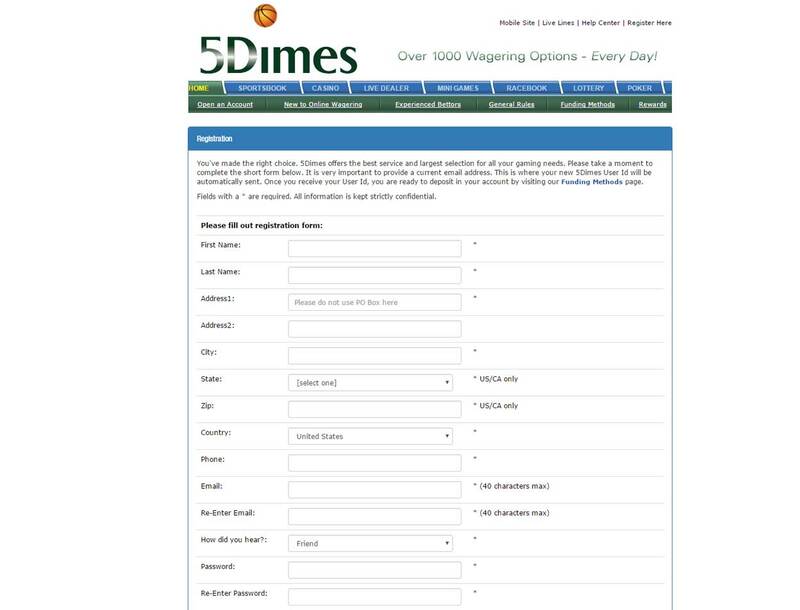 Before players can enjoy 5Dimes Casino, they need to sign up. This casino accepts fiat. Players will need to provide personal information. It helps keep players safe and complies with the KYC standard. Some details include first and last name, address, country and birthday. Bitcoin players can directly make a deposit into their accounts. The minimum deposit is $25. For the high-stakes bettors, the most they can deposit is $10,000 in one transaction. Players will need to use a verification email from the payout team to withdraw. The minimum withdrawal is $50, and the maximum is $10,000. 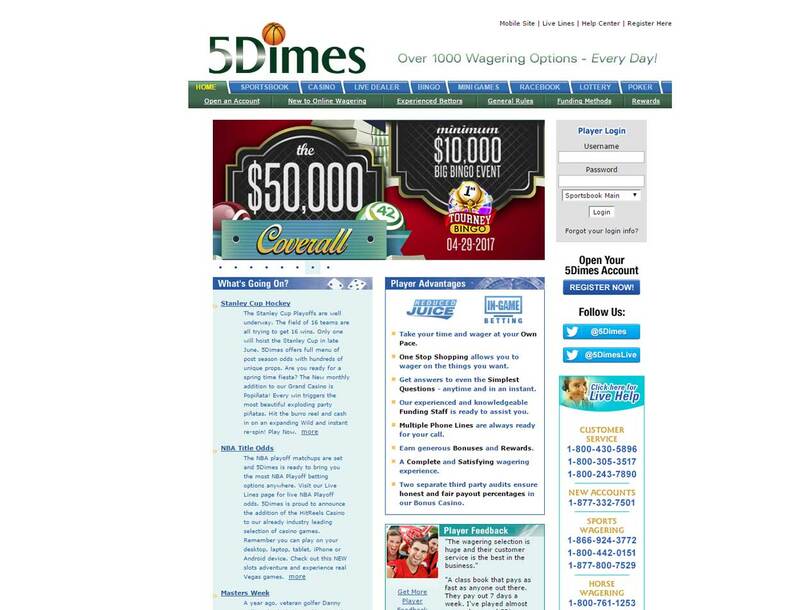 Players can reach 5Dimes Casino in different ways. They can send a message through live chat or email. Players that have urgent questions can use the support hotline.